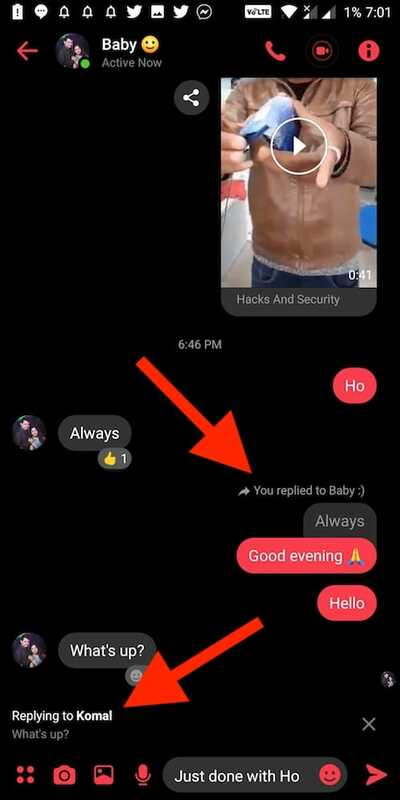 Facebook recently added the ability to unsend messages and a dark mode to its highly popular messaging app, Messenger. The company has now added the option to quote and reply to specific messages within a conversation in Messenger. Similar to ‘Swipe to Reply’ functionality in Facebook-owned WhatsApp, this feature allows users to quickly reply to a particular message in an individual chat or group. 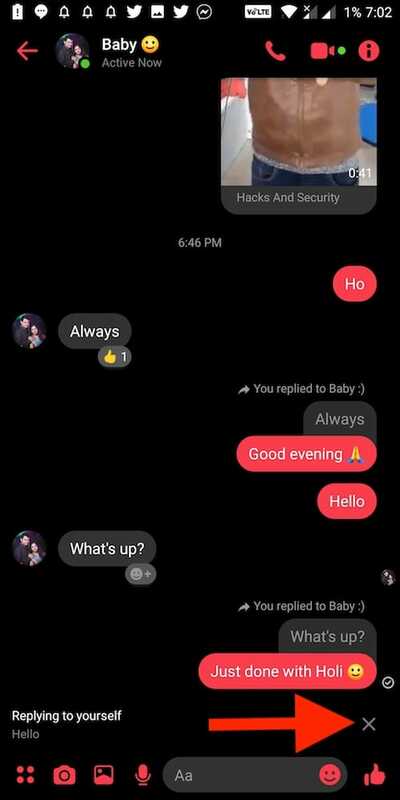 The quoted replies in Messenger comes handy especially in larger group chats where conversations are too fast. 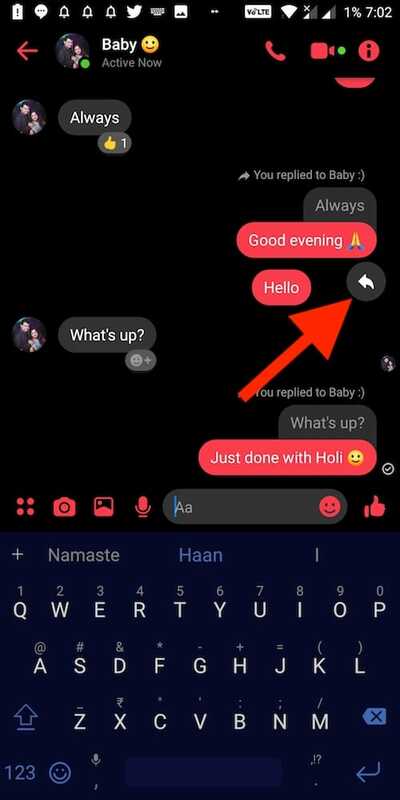 The new reply feature in Facebook Messenger is visible in the existing reaction emoji bar that pops up when you long-press a certain message. Adding a reply attaches a quoted version of the original message to your reply. This makes it easier for the receiver to determine as to which specific message the sender has posted their response. Besides text message, users can reply to an individual sticker, emoji, video, photo message and GIFs. Without further ado, let’s find out how to reply to a message or conversation in Messenger. 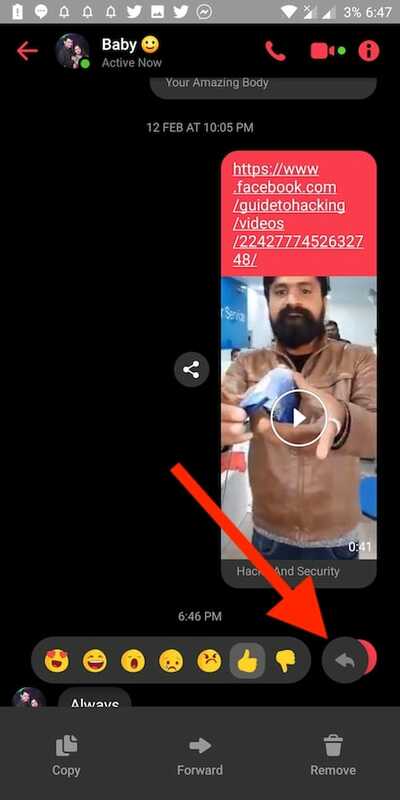 There are two ways to quote a reply in Messenger 2019 for iOS and Android. Make sure you have the latest version of Messenger installed on your device. Long-press on the message to which you want to reply. Tap the “Reply” icon shown on the right side of the emoji bar. Now type your response and hit the send (forward arrow) button. Tip: Alternatively, you can simply swipe right on the message to reply. You can also swipe left on a message sent by you to quote it with a follow-up response. This works exactly like the reply feature in WhatsApp. If you wish to cancel a reply before sending, then tap on the “x” on the right side of the “Replying to XYZ” window. Unlike WhatsApp, Messenger doesn’t offer the option to reply privately to a message sent by someone in a group. We hope Facebook adds this feature as well in the near future.